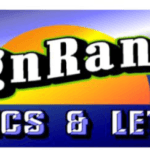 The Sign Ranch specializes in logo design. I also offer hand-painted vinyl lettering, pin striping, and graphics on vehicles and boats, magnets, banner materials, wood, canvas, aluminum, coroplast, celtec, glass doors and windows. I also have a studio for fine art and framing. 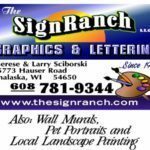 I use all mediums including pencil, watercolor, acrylic, oil, and pastel to paint landscapes and portraits, specializing in family farms, pets, and caricatures. I also paint wall murals, specializing in children’s rooms and play areas. When I sit down to develop a logo for one of my customers, I depend on my many years of commercial art, fine art and design experience…rather than computerized ‘clip art’. In this business, it’s become a standard practice for many to rely on the copy and paste feature when they are ‘designing’ logos. Many, with absolutely no formal art training or experience, learn to maneuver a computer program to come up with their creations, which end up having no originality. 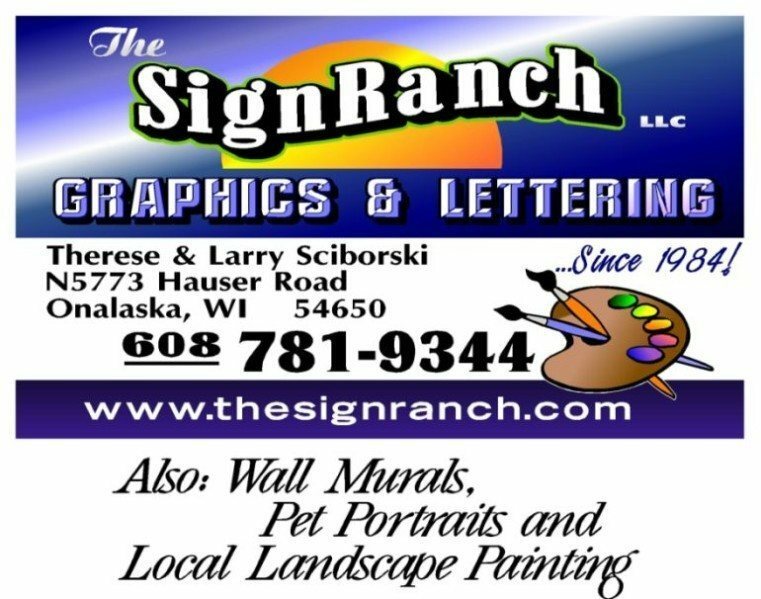 For the best graphics, lettering, logo design, pet portraits, wall murals, and local landscape painting in and around La Crosse, give The Sign Ranch a call.